Back to Dong Lai's Homepage . JOB OPENNING: Postdoctoral Research Associate/Fellow . See our Publications (updated occasionally) and Research Bio Sketch, or better look at arXiv or ADS . Also our Science paper and our PNAS paper . Kassandra Anderson : Exoplanets, binaries, etc. Michelle Vick : Tides in compact objects and exoplanets. Bonan (Michael) Pu : Exoplanets, dynamics. Jean Teyssandier (Ph.D.'14, IAP-Paris) (2017-): Dynamics, exoplanets, disks, etc. Bin Liu (Ph.D. '16, USTC) (2017-): Dynamics, exoplanets, black hole binaries etc. Wynn Ho (Ph.D. 2003): Neutron stars: GWs and atmospheres. Hubble Fellow, Stanford/MIT -> Harvard CfA -> Faculty at Univ. Southampton and Haverford. Akiko Shirakawa (Ph.D. 2007): Magnetic accretion in X-ray binaries; Nucleosynthesis in young NSs. Chen Wang (Ph.D. 2007 NAOC; co-advisee): Pulsar kicks, wave propagation in NS magnetospheres. Research Associate Professor at NAOC (Beijing). Zach Medin (Ph.D 2008): Matter in strong B fields and NS. Trottier Fellow at McGill -> Permanent Staff at Los Alamos Nat. Lab. David Tsang (Ph.D. 2009): BH accretion disks. Fairchild Fellow at Caltech; Trottier Fellow at McGill -> Prize Fellow at Maryland --> Faculty at U.of Bath (UK). Wen Fu (Ph.D. 2012): Wave dynamics of accretion disks and other rotating astrophysical flows. Research Scientist at	Rice Univ. Natalia Storch (Ph.D. 2015): Exoplanets & Compact Objects. Burke Postdoc Fellow in Theoretical Astro, Caltech. Bin Liu (Ph.D. 2016 USTC; co-advisee): Secular Dynamics, exoplanets and compact objects. Shanghai Astro Observatory. Ryan Miranda (Ph.D. 2017): Accretion disks around protostars and black holes. Postdoc at IAS Princeton. John J. (JJ) Zanazzi (Ph.D. 2018): dynamics of protoplanetary disks, planets and neutron stars: Postdoc fellow at CITA. Francois Foucart (Ph.D. 2011 with Teukolsky): Warped disks, exoplanets. Postdoc fellow at CITA -> Einstein fellow at UC Berkeley --> faculty at U. New Hampshire. Brian Cameron (college scholar, '03): Core collapse dynamics; matter in strong magnetic fields. Ph.D. at Caltech. Tony Li (A&EP, Cornell, '09): Ph.D. at Stanford. Michael Hammer (Cornell '15): Planets in binaries. Ph.D. at U Arizona. NSF graduate Fellow. 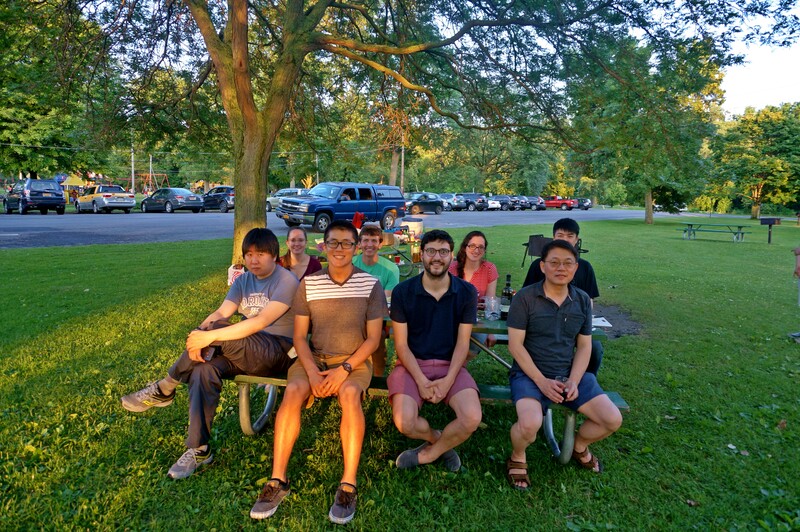 Wenrui Xu ('17): Secular Dynamics, resonances; neutron stars: Ph.D. at Princeton. Evection resonance ; MMR ; Neutron star tides . Diego Munoz (Harvard Ph.D.'13) (2013-2016): disks, hydrodynamics, exoplanets, etc. Joining our group: We welcome graduate students (both in astronomy and physics) who are very motivated, curious and passionate about research. 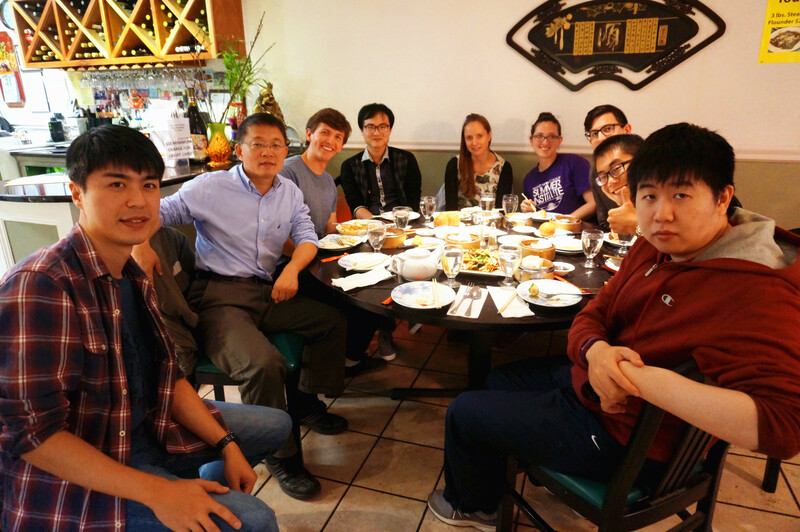 Students interested in joining our group are encouraged to contact Dong Lai as early as possible. We gratefully acknowledge NSF, NASA (ATP, exoplanets, Chandra, Fermi programs), the A.P. Sloan Foundation and the Simons Foundation for supporting our research over the years.